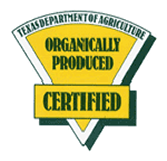 At Texas Organic Mushrooms in Denison, Texas, we use no animal products or by-products in our organic mushrooms. Shiitakes are a great source of vitamins and are suitable for special diets. Most cultivated mushrooms—such as button, white, and portabellas—are grown on substrates of straw and poultry or other manures. Our mushrooms are grown on sterilized hardwood sawdust with no animal products or by-products. Shiitakes are 18% protein. They are a great source of B vitamins and contain all the essential amino acids. These mushrooms also contain interferon, beta glucans, and have long been recognized in Asian medicine for their ability to enhance the immune system as a general tonic. In western medicine, various extracts of shiitakes—most recently AHCC—have been used to treat cancer, HIV, chronic fatigue syndrome, and other diseases. David Williams, M.D., calls AHCC "cancer's natural enemy" and describes it as one of the leading prescription treatments for cancer in Japan. Andrew Weil, M.D., author of Natural Health, Natural Medicine, recommends eating shiitake mushrooms for cancer prevention, menopause, chronic fatigue syndrome, cholesterol problems, heart disease, breast cancer survivors, and to enhance the immune system. During the Ming Dynasty in China, shiitakes were so highly regarded for their flavor and health benefits that they were reserved only for the emperor and his family. Today you don't have to be an emperor to enjoy these delicious, healthy snacks. Contact us in Denison, Texas, to request a quote for our fresh, organic shiitake mushrooms.